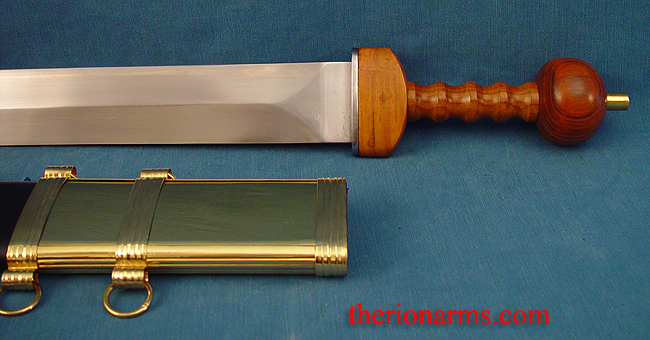 A good looking Mainz style Roman gladius for garb, costume, stage, film, or dress wear purposes. Hardwood grip, low grade steel blade with unsharpened edges - but the point is still pretty nasty so take care. 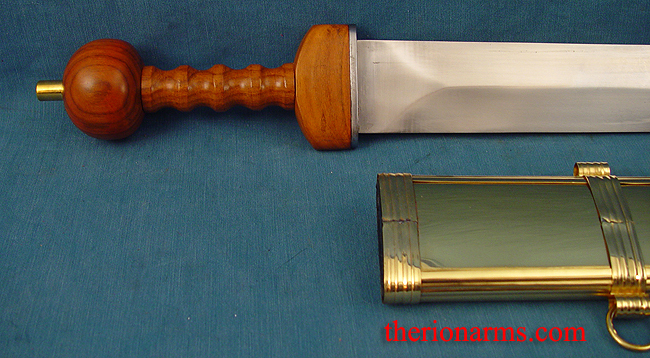 Leather covered wood scabbard with brass fittings. Very pretty, quite popular with Romans looking to save a denarius or two.